Western Australia boasts a wide range of fantastic recreational fishing opportunities. It is one of the State's most popular pastimes with an estimated third of the population fishing recreationally. With increasing fishing pressure and environmental changes, we need to manage our natural resources carefully to ensure there are fish for the future. An essential part of the management process is ensuring fishers follow the rules to keep our fish resources sustainable in Western Australia. With more than 12,800 km of coastline, along with numerous estuarine and inland water bodies, there are different rules for specific areas, species and different types of fishing activity. 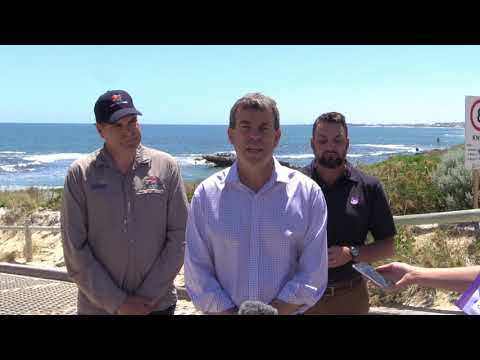 We work closely with peak fishing recreational body Recfishwest and the recreational fishing community to ensure the WA fishing experience remains both enjoyable and sustainable. You can play your part by getting involved in our recreational fishing volunteer programs to help with scientific research and/or education activities all designed to ensuring there are fish for the future.